Northwest Colorado also saw conditions deteriorate. 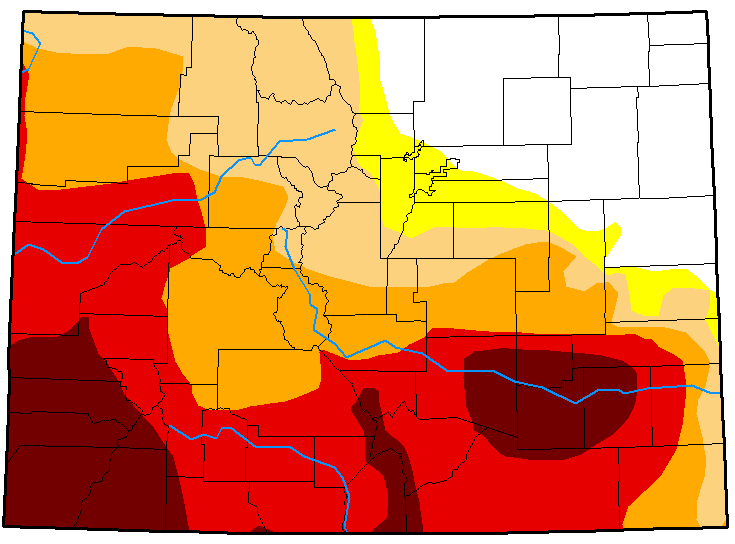 Extreme drought expanded across Mesa and much of Garfield County along with western Pitkin County. Severe conditions encompass most of Rio Blanco and southern two-thirds of Moffat counties. Moderate and severe drought advanced to the east across much of the remainder of the area. Overall, drought-free conditions declined to 18 percent from 20 percent during the previous week. 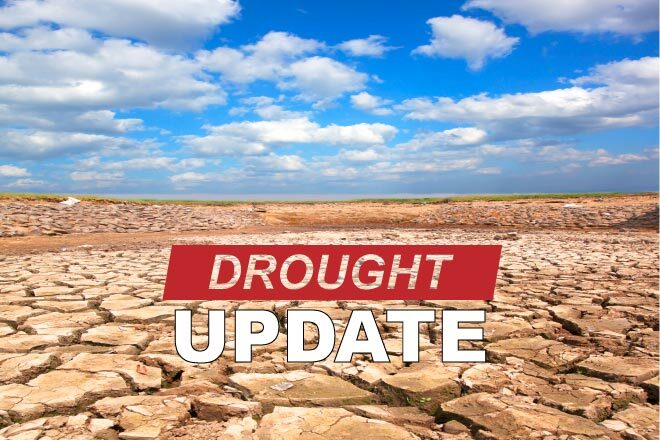 Abnormally dry areas dropped seven points to five percent, while moderate drought increased slightly to 16 percent of the state. Severe drought increased to 21 percent of the state from 16 percent in the prior week. Extreme drought dropped one point to 27 percent, while exceptional drought increased to 13 percent from nine percent. One year ago, two-thirds of Colorado was drought-free, while the remainder was abnormally dry.